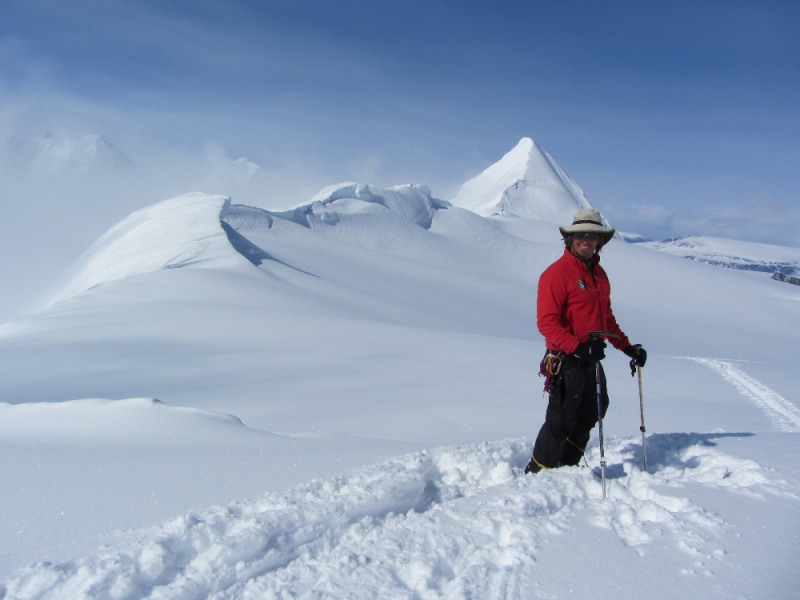 The King of the Wrangells! 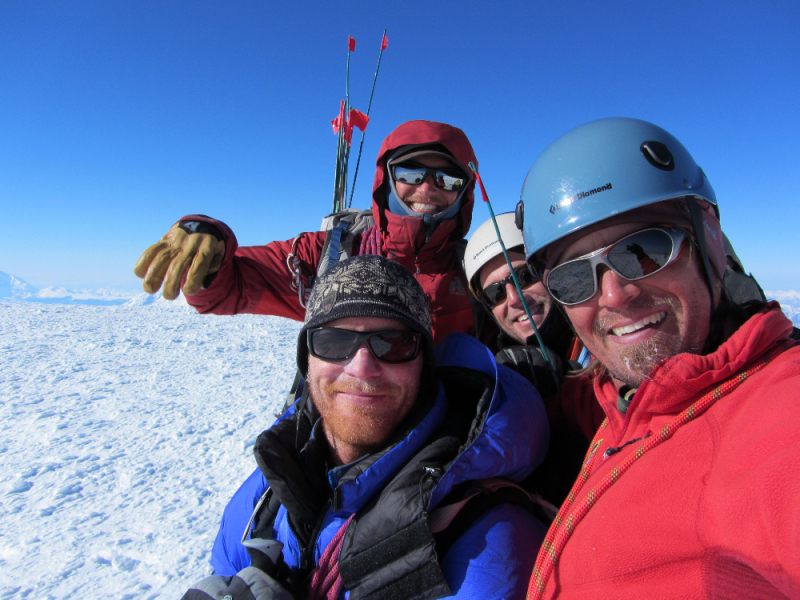 With tremendous vertical relief (11,000 ft in some places) Mt. 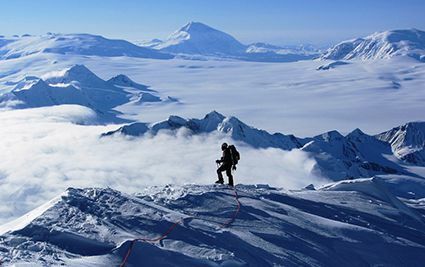 Blackburn is the tallest peak in the Wrangells and the 50th most topographically prominent peak in the world. 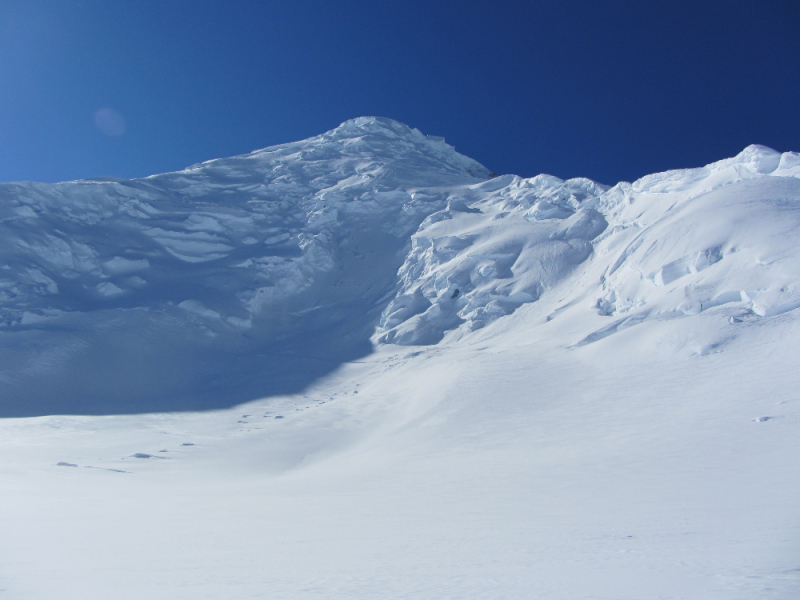 The true summit was reached in 1958 and since then, less than 50 parties have climbed the mountain. 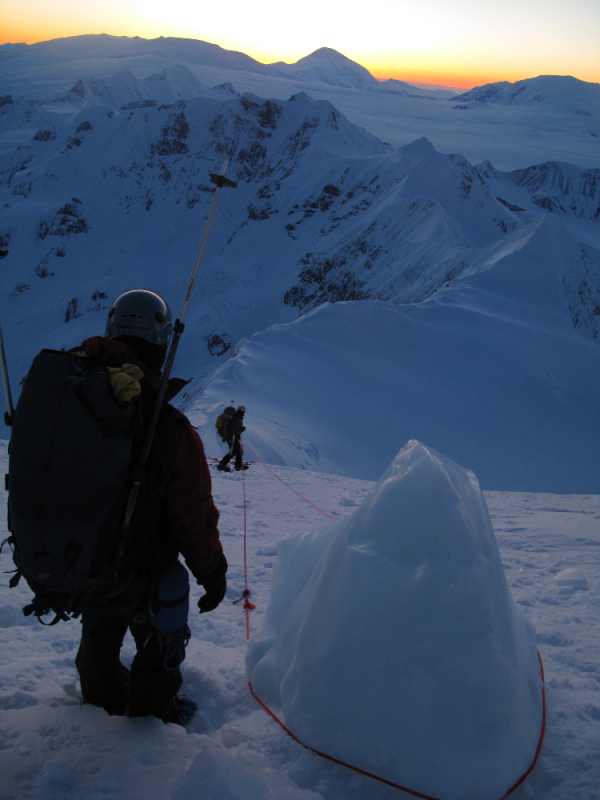 A true wilderness climb, the route ascends the Northwest ridge with over 7,500 vertical feet (2,286 m) of climbing. 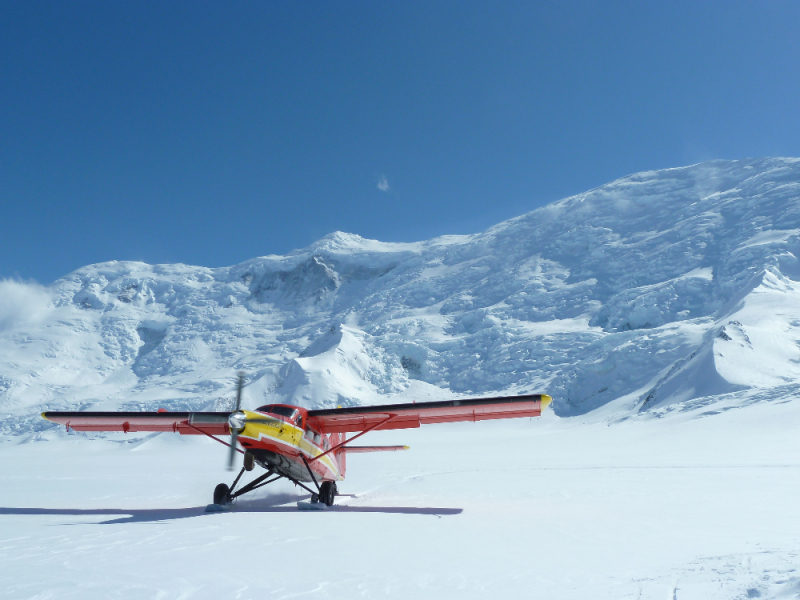 The route overlooks the Nabesna Glacier, the longest valley glacier in North America at 75 miles (120 km) long! 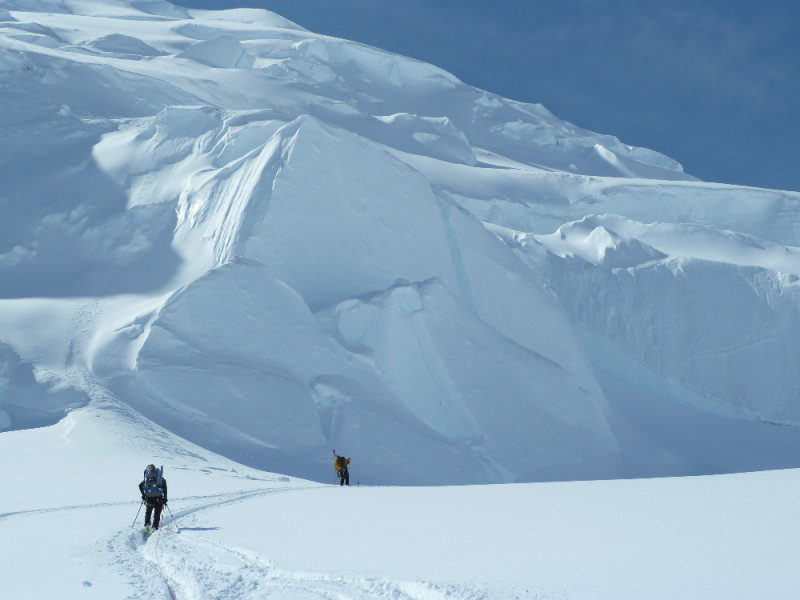 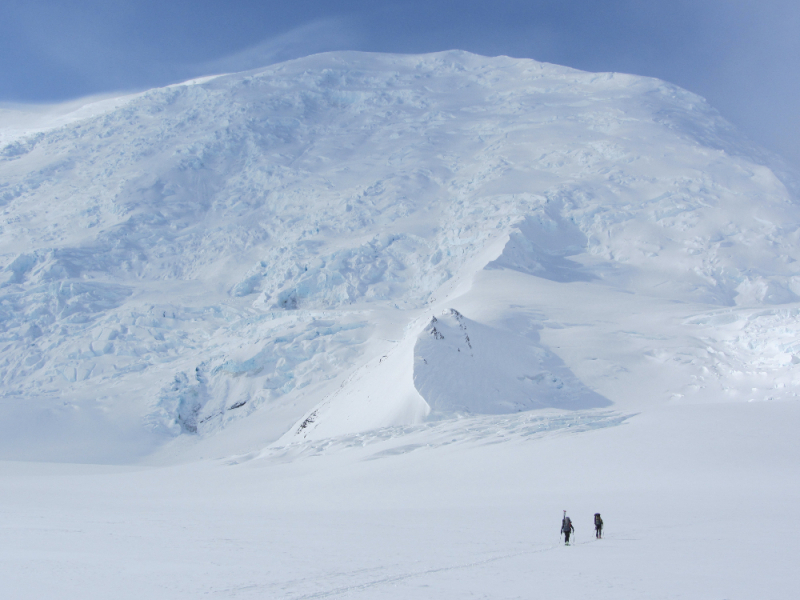 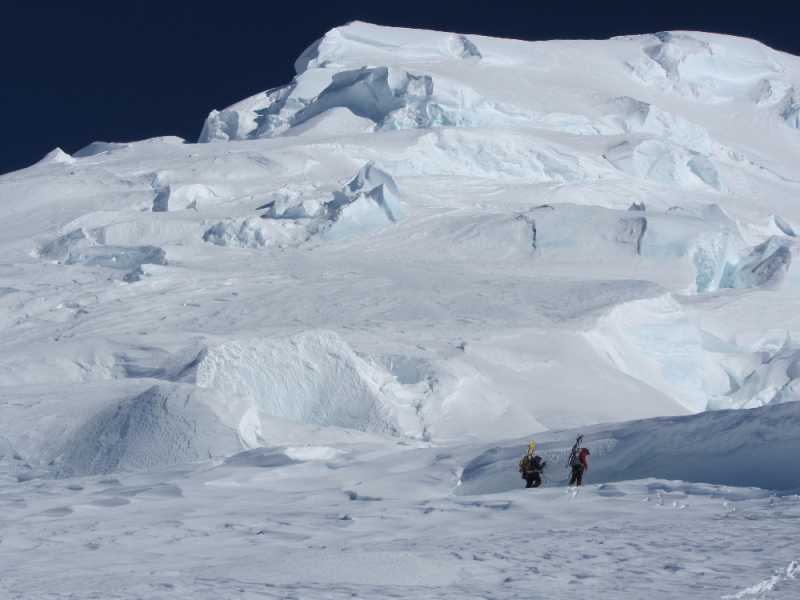 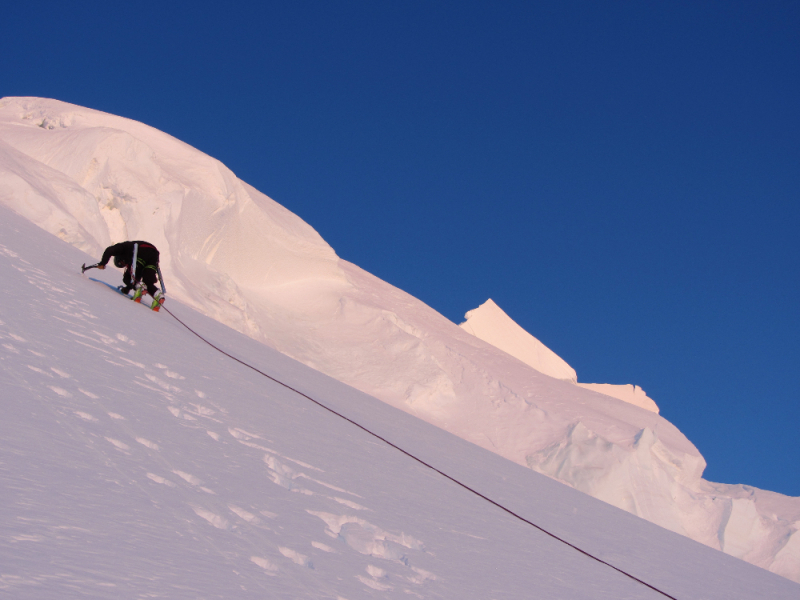 Throughout the climb you’ll encounter steep snow and ice, cornices, crevasses, ice falls, stunning alpenglow, and the rarified air of big peaks. 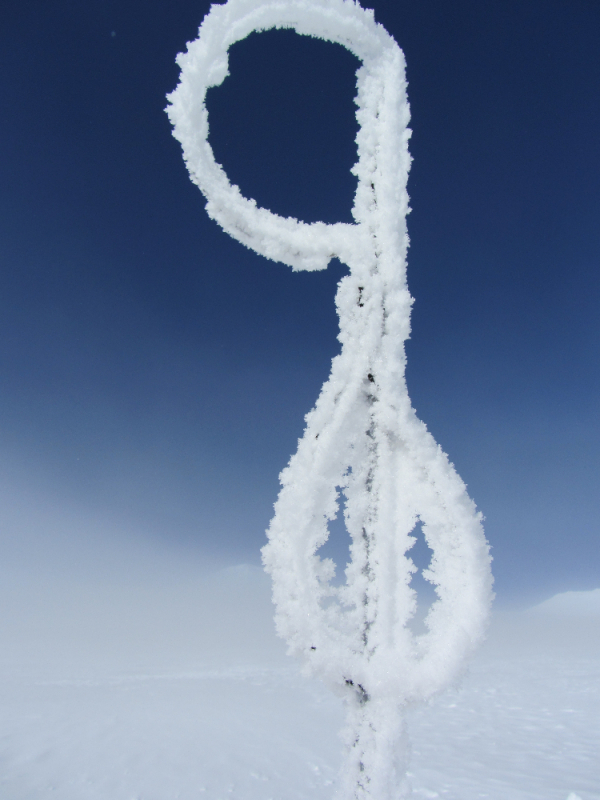 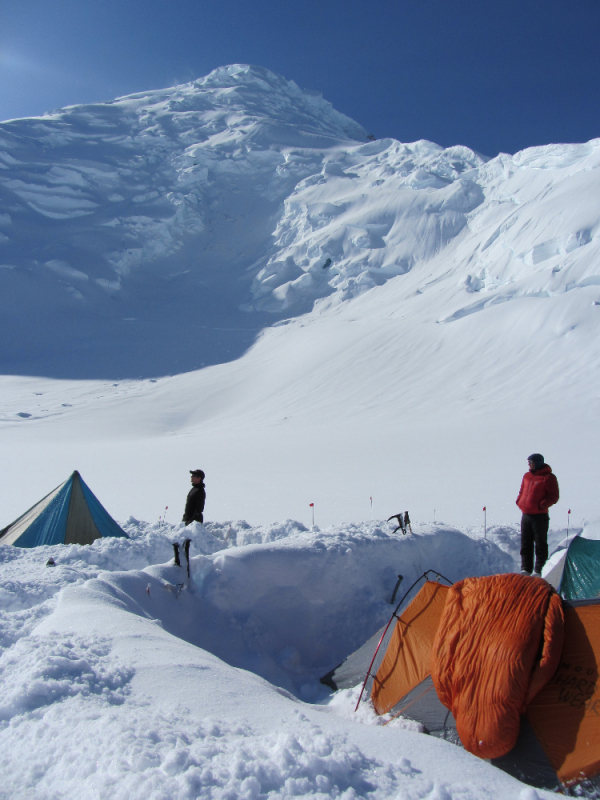 Become one of the few to summit the highest peak in the Wrangells. 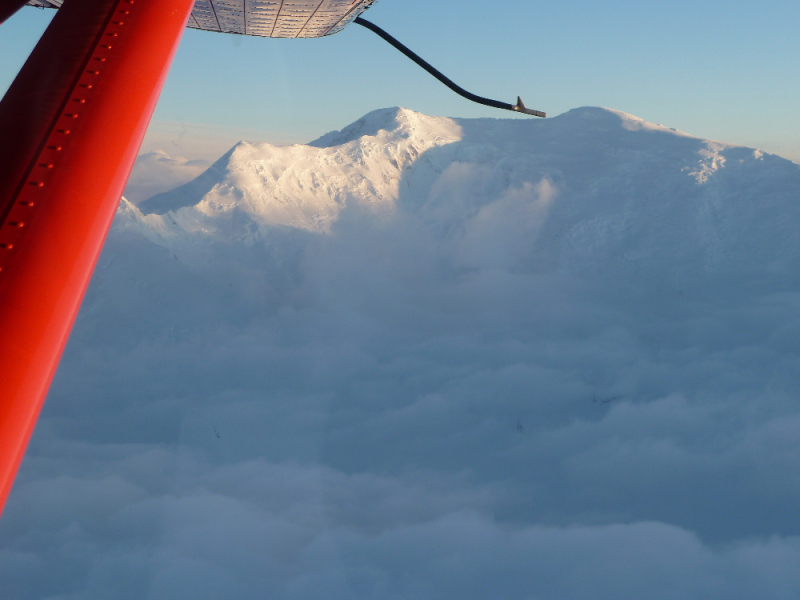 Spectacular views of rugged Wrangell-St. Elias National Park. 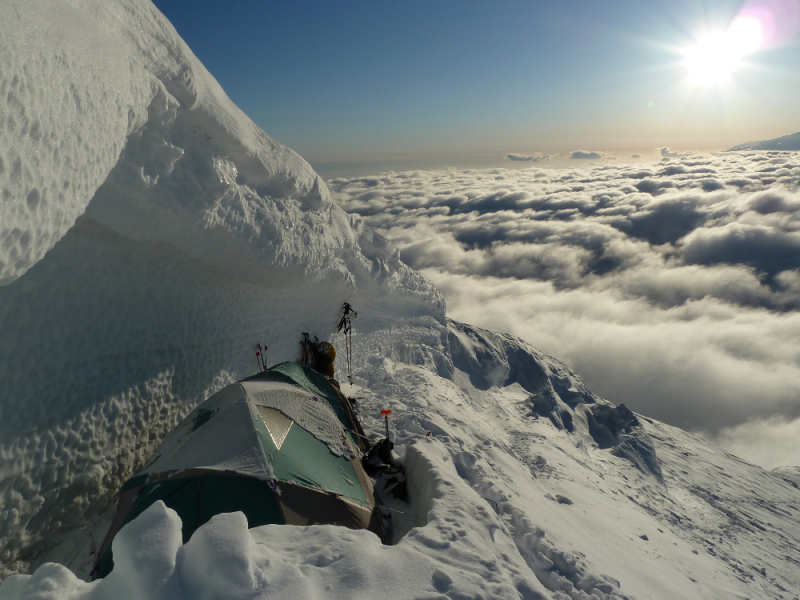 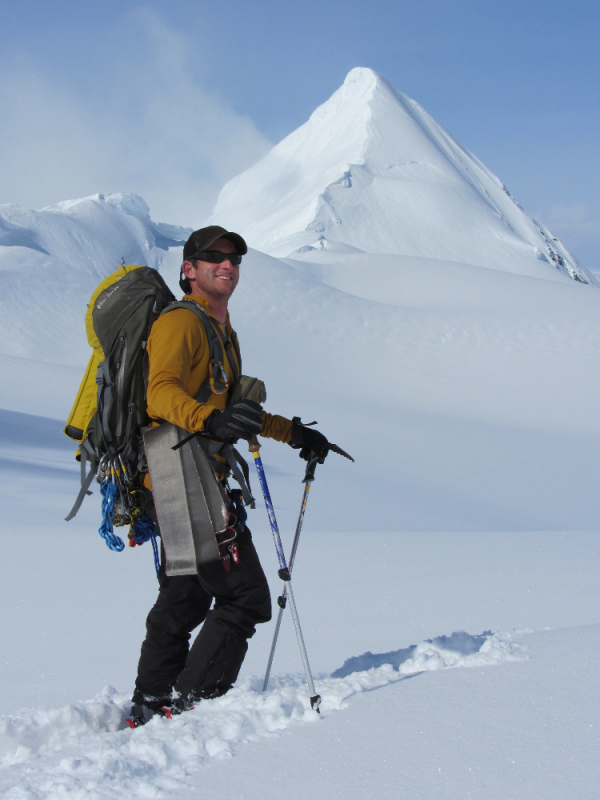 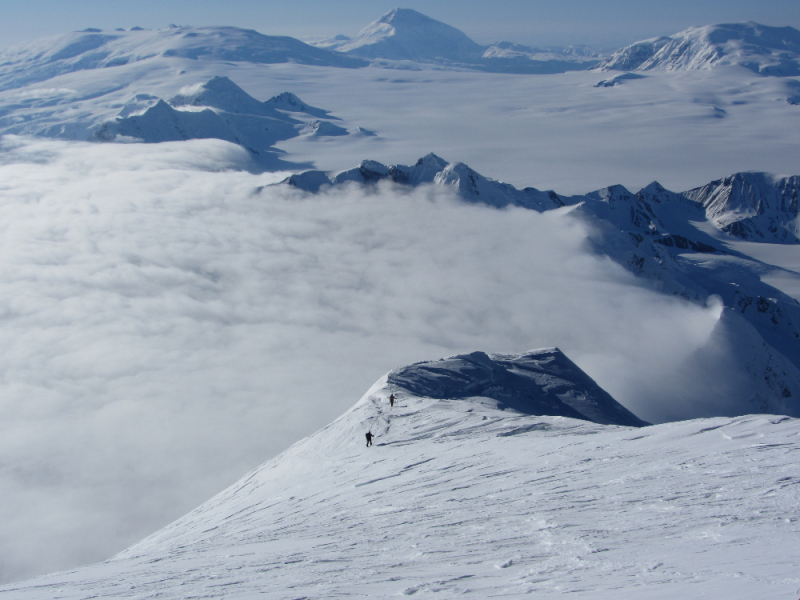 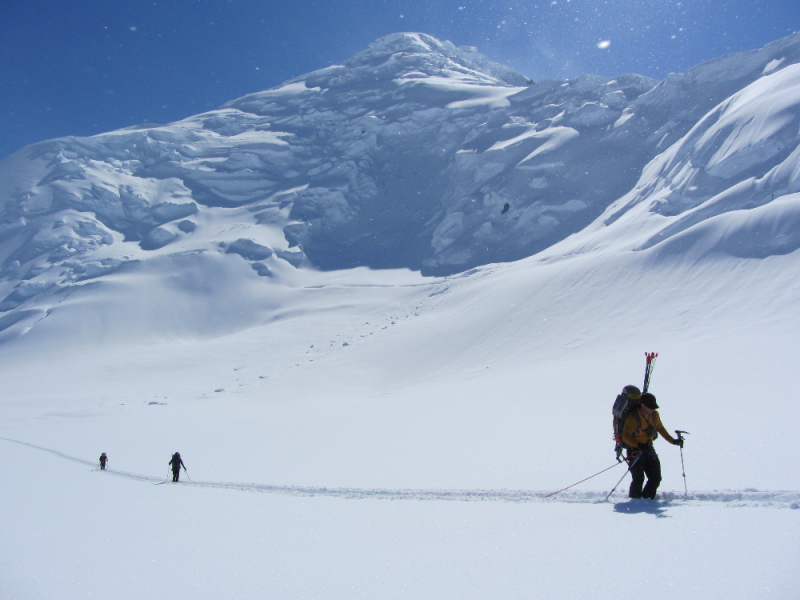 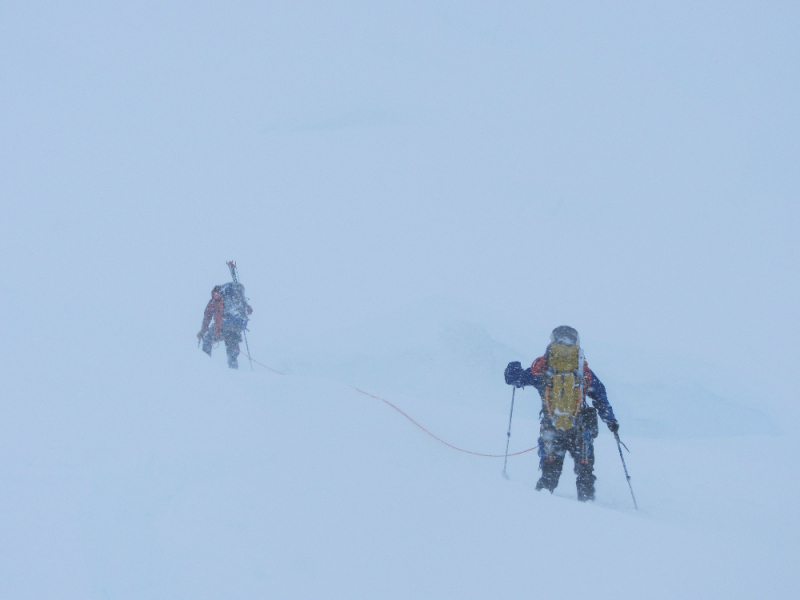 Challenging climbing on a remote, Alaskan peak. 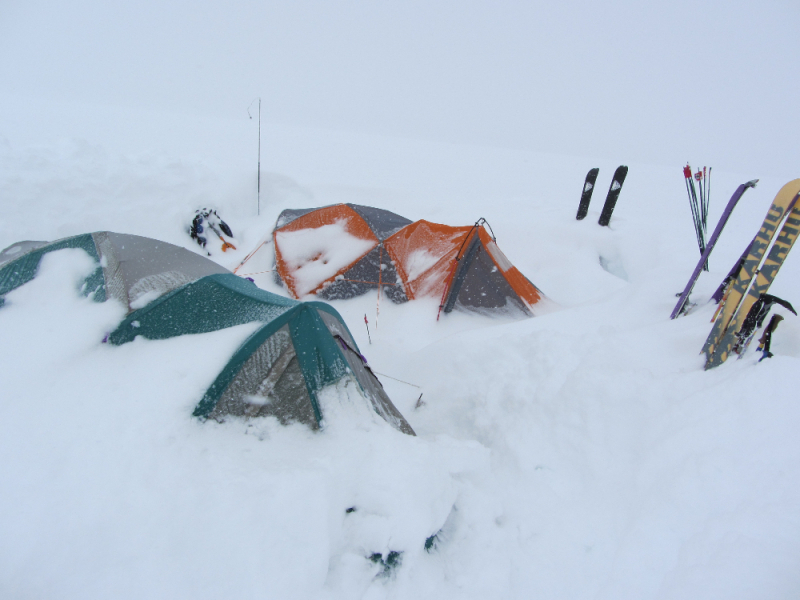 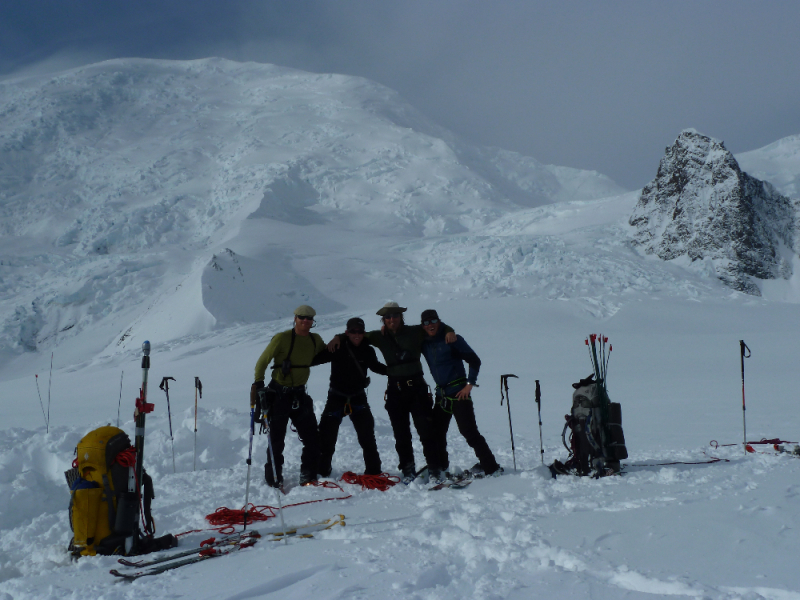 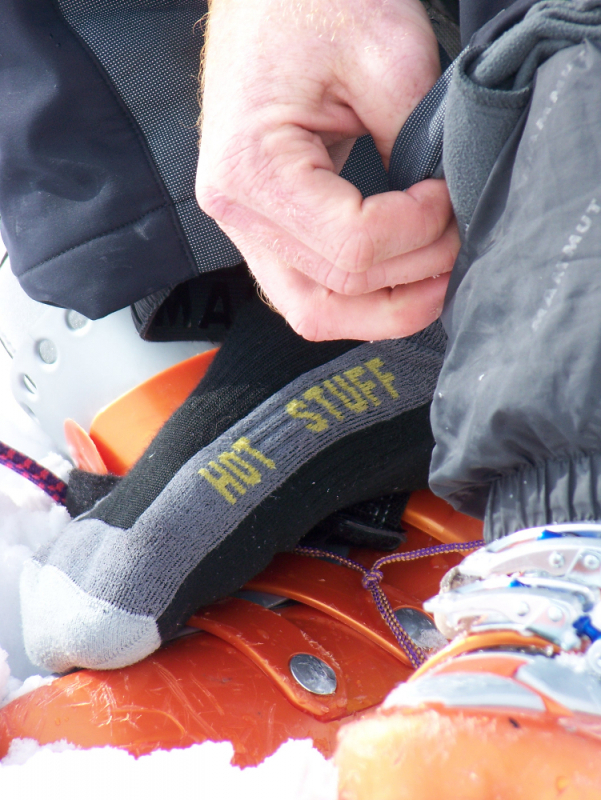 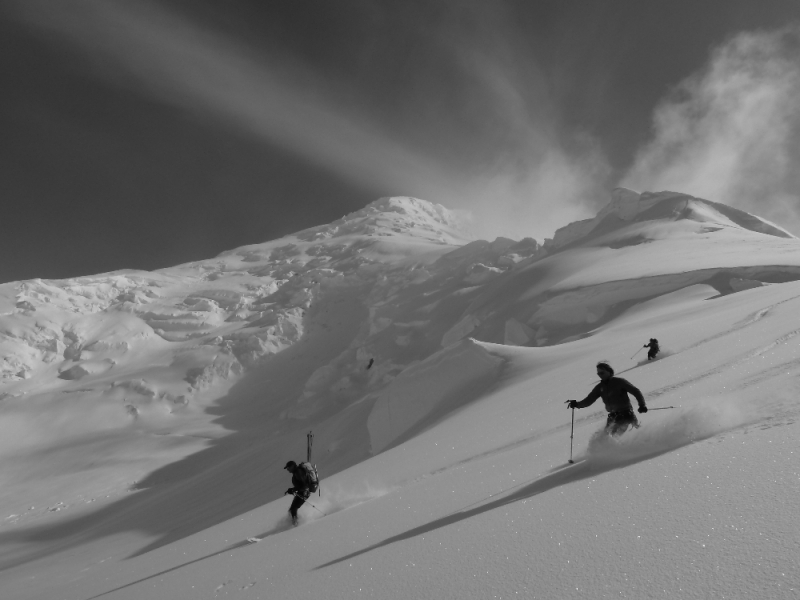 Learn new techniques from experienced Alaska mountain guides.